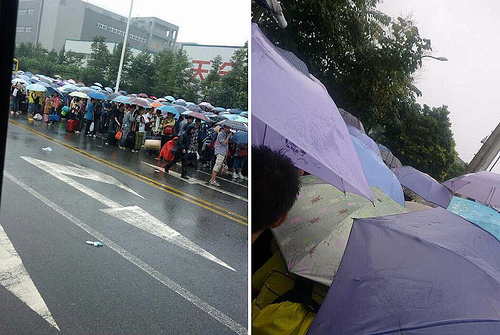 Heavy rains have battered Chengdu over the past few days, but this won’t stop young jobseekers lining up for Foxconn summer jobs at the Foxconn plant in Chengdu. 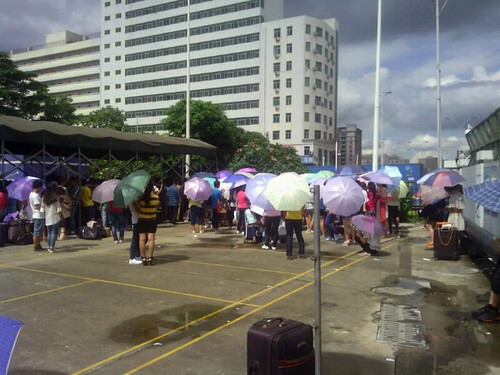 Thousands of people were lining up, and they were armed with rain gear and umbrellas, standing out in the rain just for a chance to audition. More photos after the break. 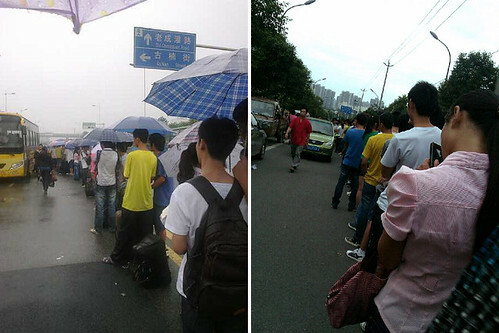 By looking at these photos, we can see that many Chinese jobseekers want those jobs at Foxconn. Apparently, the Foxconn plant in Chengdu is hiring now for summer jobs – and according to our sources, the plant is hiring a large number of summer workers, which may still have openings. 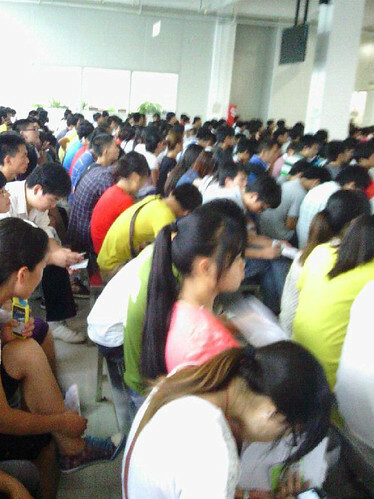 What’s more, the young jobseekers are required to submit a registration fee of 150 Chinese yuan (about $24) before he/she could apply for the summer job. And there’s a requirement for applying the job, you need to have good eyesight. 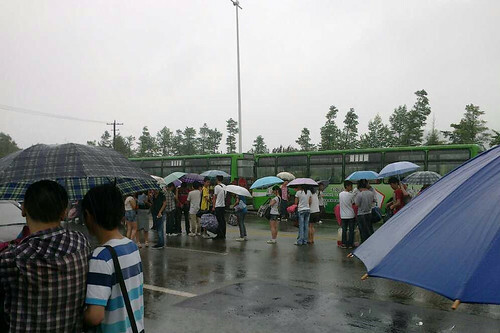 Staff of Foxconn collecting registration fees from jobseekersOn the other side, the Foxconn plant in Zhengzhou is also hiring a large number of workers, just like what we have previously reported. According to our sources, one of the iPhone assembly lines inside the factory has recently assembled only five units of “the new iPhone” on a night shift. And that particular assembly line actually consists of more than a hundred workers. We were told that it was in the “trial production stage”. 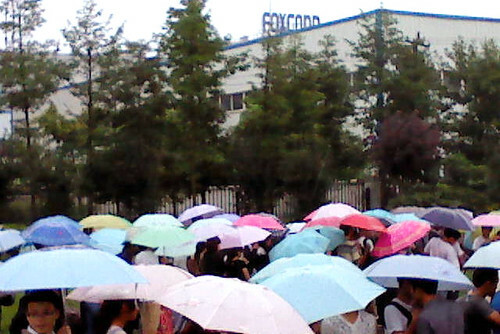 So, despite reports detailing the mistreatment of factory workers assembling Apple products in China, there’s still a huge demand for jobs at the Foxconn factory. 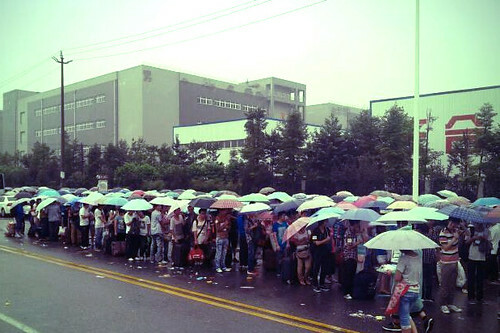 There’s actually thousands of hopefuls lining up for Foxconn jobs as the Chengdu and Zhengzhou plants ramp up the iPad mini and next generation of iPhone production respectively. Previous Apple Not Hiring Chinese Locals to Lead China Apple Stores ?